The changing seasons is a great time to give thanks to God for the beauty of his creation. 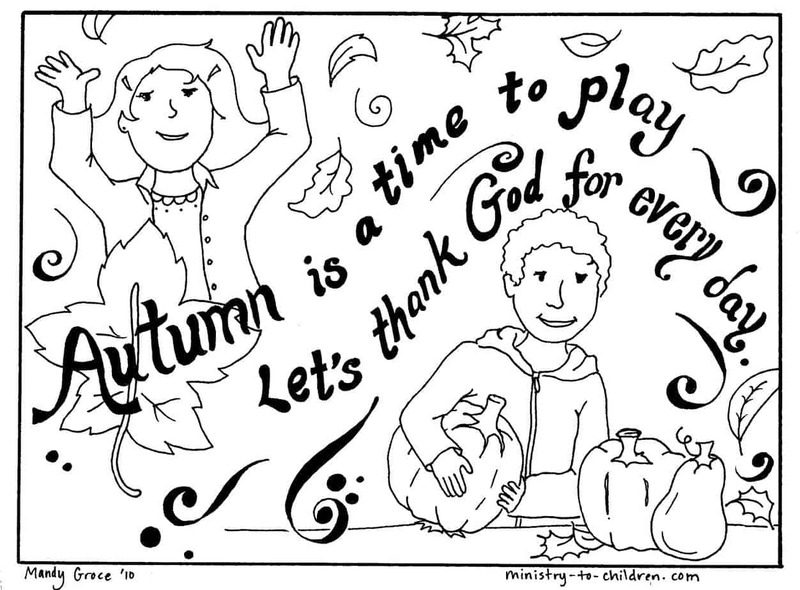 Here is a simple coloring page that will help children remember their maker during all the autumn fun. This picture was created by Mandy Groce and is 100% free for you to use in your school, home, or church. Directions: Simply click on the preview about to download this coloring sheet as a print friendly PDF file. We’ve also make a high resolution version JPEG file (384K)available for advanced editing. Don’t miss our other free coloring pages for Thanksgiving. 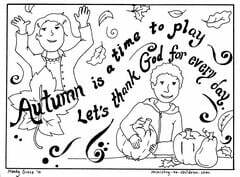 This Autumn coloring page would be a great addition to our Bible lesson about the changing seasons. You could also use it anytime you teach kids about the wonderful world that God has made. Need More Coloring Pages? Mandy has created a creation coloring book and several other coloring sheets for Sunday School.